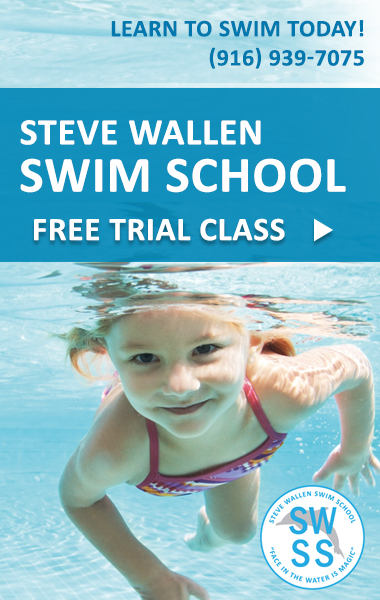 Kids splash in the pool while their parents watch them and tan. Music plays on a stereo set. And the intoxicating smell of barbecue wafts through the air as the hosts set out paper plates and potato salad. This is the quintessential image of the American summertime barbecue, and it’s not hard to see why it’s one of our favorite national pastimes. 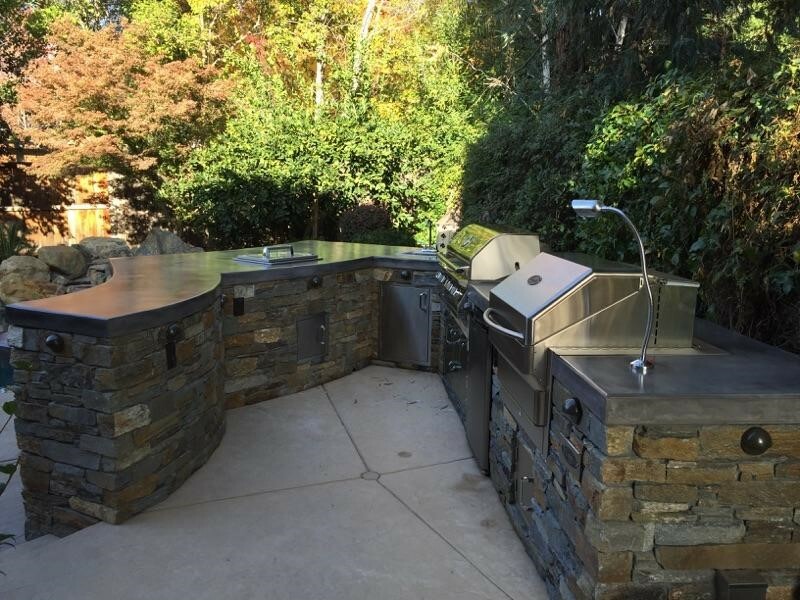 This summer, it’s time to boost your BBQ game with an Outdoor Kitchen Design from Custom Image Hardscape. The old charcoal grill isn’t getting any younger, and it would be really nice to have some extra room to set food out and chop the veggies you’re about to put on the grill. It would be even nicer to have a sink to wash up in, so you don’t have to go inside to wash your hands, carefully opening the back door with your elbow, every time you touch a piece of raw chicken. 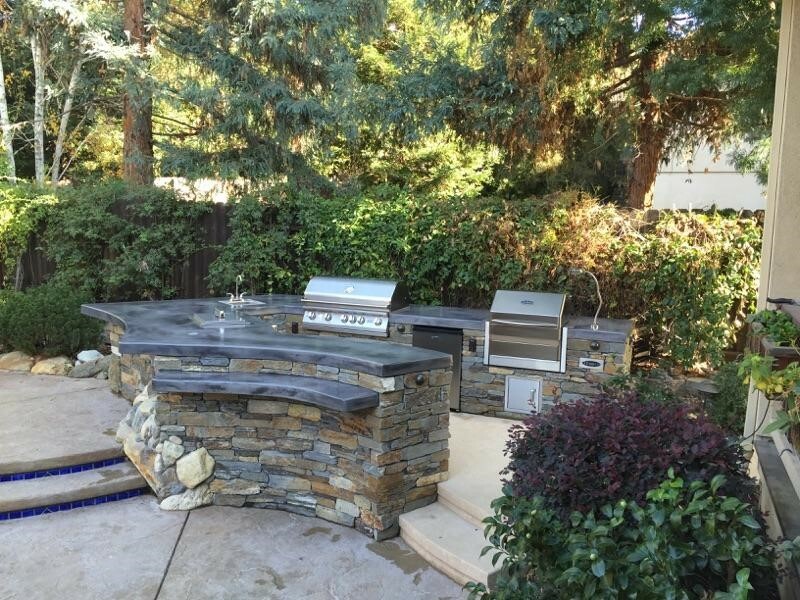 This summer, entertain your friends and family in style and comfort with an outdoor BBQ island or outdoor kitchen from Custom Image Hardscapes in your Sacramento backyard! Our BBQ islands and outdoor kitchens are custom made to meet your specific needs, whether you are looking for a bit more room for food prep or a huge, elegant affair where you could prepare a four course meal. Whether you are going to be grilling hamburgers, steaks, or juicy veggies, an outdoor BBQ island is going to help you make the best meal possible. 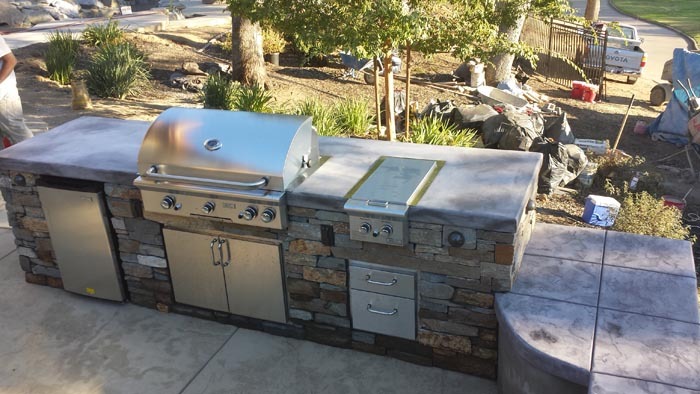 You might go for a simple island that just has some counter space and maybe a sink, or you might choose a much more elaborate outdoor kitchen for your Sacramento backyard. It is entirely up to you, your budget, and your preferences. Whatever you choose, you can be certain that our expert outdoor kitchen designers will be working closely with you every step of the way to make sure you get exactly the outdoor kitchen you want and deserve! 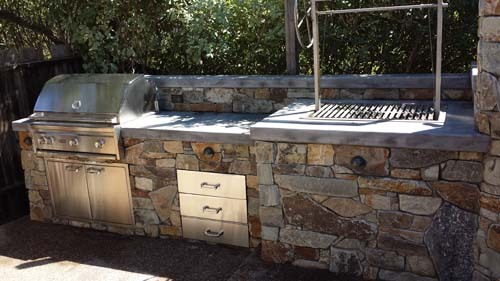 Here at Custom Image Hardscapes, we offer concrete countertops for your outdoor kitchen. Concrete is incredibly strong and durable, as well as being affordable and cost effective. You will love the money savings you will get, as well as the fact that your outdoor kitchen countertop will look beautiful for year after year. Concrete is also extremely versatile. You can have your concrete countertops stamped, textured, and stained to look like pretty much anything you want. Have you always dreamed of having marble or granite countertops? We can make your concrete countertops look like that. Do you love the look of natural, local stones? With concrete countertops, you can have that look without worrying about expensive stones cracking or breaking. Do you just want the simple, industrial appearance of plain concrete? It is a look that is getting more and more popular, and we can certainly do it for you! Since concrete is naturally somewhat porous, we also do a high quality sealant that gives your counters a beautiful luster and keeps it safe from the weather. You won’t have to worry about whether a porous countertop is holding bacteria and potentially contaminating your food; just wipe it down with a safe cleaner and you can continue cooking with confidence! If you have ever craved the elusive taste of authentic Italian pizza, crave no more! The famous taste of authentic Neapolitan pizza comes from being cooked in a wood fired stove, or forno. It’s easy to see why this would be so hard to achieve in regular kitchens, since most people do not have massive clay or brick wood burning stoves in their homes. If nothing else, it would heat up the kitchen terribly. With an outdoor pizza oven kitchen, you can enjoy amazing tasting pizza without having to turn up your air conditioner at all. Build a fire in the bottom part of the pizza oven, let it burn for a while to get the clay, brick and concrete thermal mass nice and hot, and then pop your pizza in. It’s as easy as that! 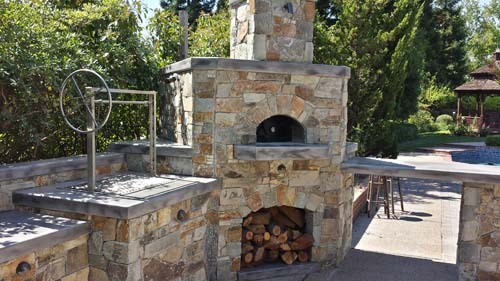 Our outdoor pizza oven is also amazing for things like artisanal bread and sourdough, which really benefit from being baked in a wood fired oven. Let your imagination go wild with this cooking method that is rustic and primal but also elegant and gourmet! Call Custom Image Hardscape Today for Your Free Consultation! Your Sacramento home is as unique as you are, and the perfect kitchen for you is also going to be one of a kind. We’re not just out to make a quick sale. We want to make sure that you get exactly the kitchen that is going to work best for you, your lifestyle, and your budget. 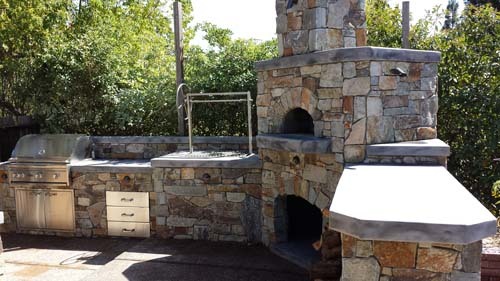 Give us a call today for your free consultation, and get started on the way to getting the custom outdoor kitchen of your dreams! Previous ArticleELCA "God's Work, Our Hands"